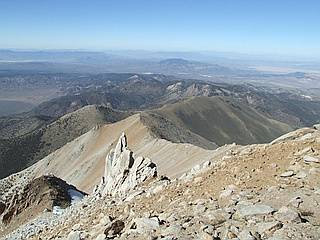 Boundary Peak is the highest peak in Nevada. 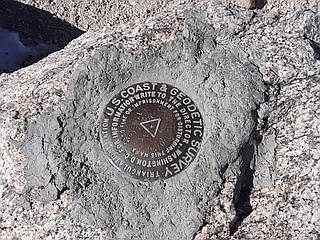 It is only about half a mile (1 km) from the California border. 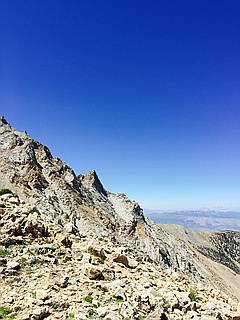 Montgomery Peak at 13,441 feet (4,097 m) is located just across the border in California, and by most definitions Boundary Peak is a sub-peak of Montgomery Peak. 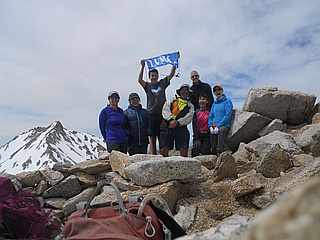 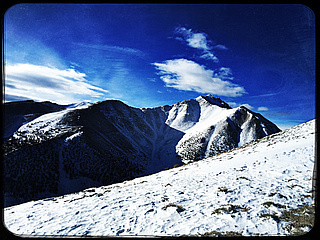 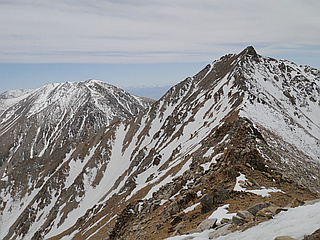 Boundary Peak is 82 feet (25 m) higher than the second highest Nevada peak, Wheeler Peak at 13,065 feet (3,982 m). 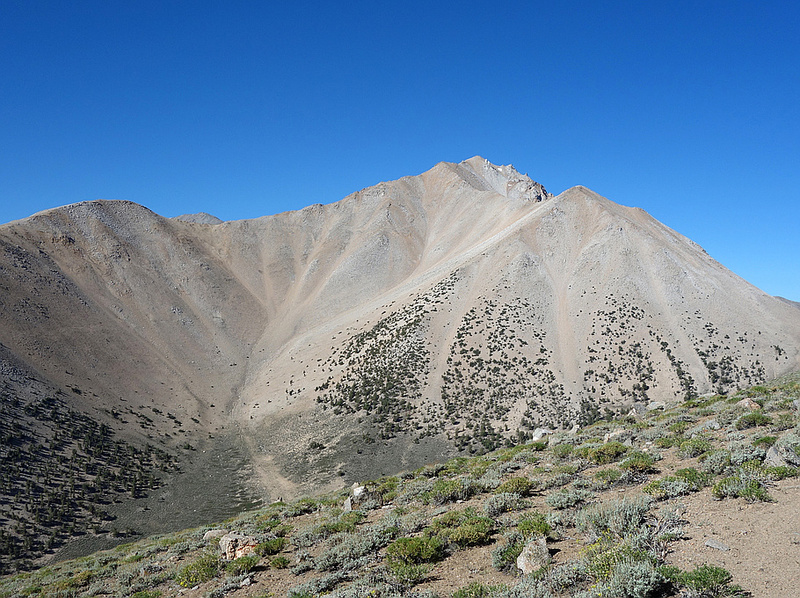 Wheeler Peak is a non sub-peak and is located entirely within Nevada, and is sometimes considered the highest mountain peak in Nevada. 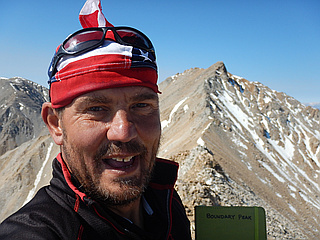 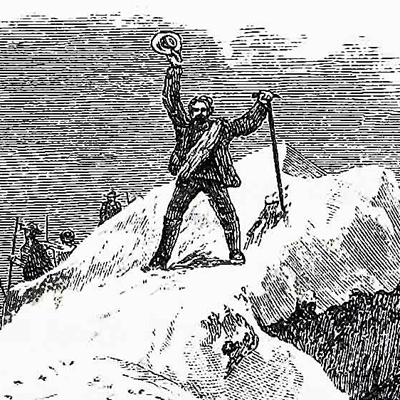 peakery considers Boundary Peak the highest peak in Nevada in the US State Highpoints challenge.